Most creams are made with complex molecules bound together by a powerful emulsifying process; the problem with this is that they just sit on the skin’s surface. They give a good first impression, but don’t keep their promises. It’s STEAMCREAM’s unique STEAM process that makes our cream much more effective on the skin. The force of the STEAM fuses the ingredients instantly – holding them together in a very gentle and loose emulsion. When it touches your skin, the naturally moisturising ingredients and pure, calming essential oils are released from the light emulsion so they can sink past the surface reaching the areas they are needed fast. Your skin will feel intensively moisturised and softer for longer. STEAMCREAM is handmade in the UK and Japan with fresh, traceable ingredients. It’s super-moisturising, sinks deep down instantly and revives your skin straight away. It makes your skin simply the best it can be, naturally. 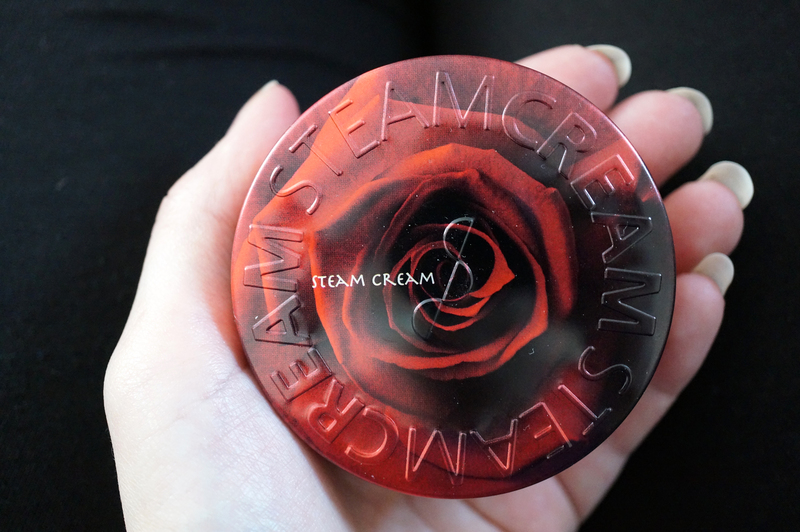 Like I said I didn’t really know anything about SteamCream before this review, all I knew was it was a moisturiser that comes in a range jazzy tins! And on first glance this product appears to be nothing particularly special, basically a moisturiser in a fancy tin… but… when I used it I was very impressed! My skin just loves this stuff!! It’s mildly scented, and has a light to medium density, and it just soaks into my skin leaving my face feeling hydrated all day. You can also use this elsewhere on the body but I haven’t had a chance to yet. 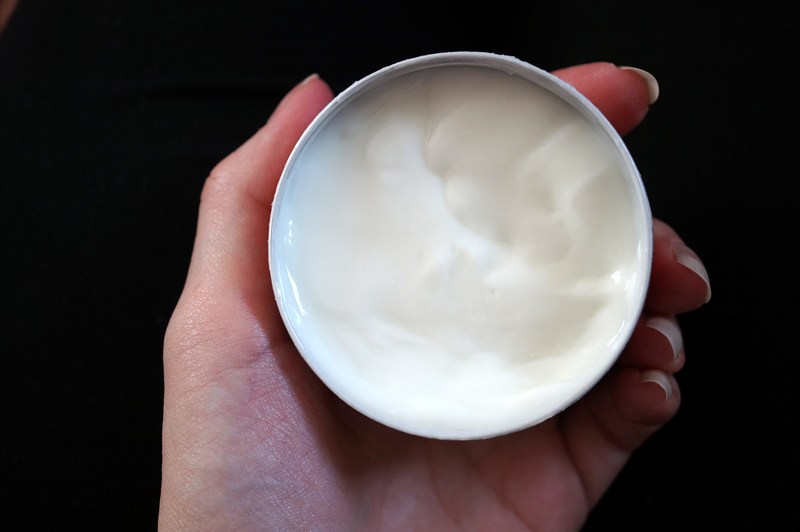 I love the fact that Steamcream is made with all natural ingredients too – my skin is sensitive so this is always in the back of my mind when trying out a new product. And for only £20 for two 75ml tins in this Easter Gift Set it’s a complete bargain! I’m really happy with this product, and I’ll definitely be repurchasing when I use these tins up! Previous Post Purple Lipstick Comparisons and Swatches! 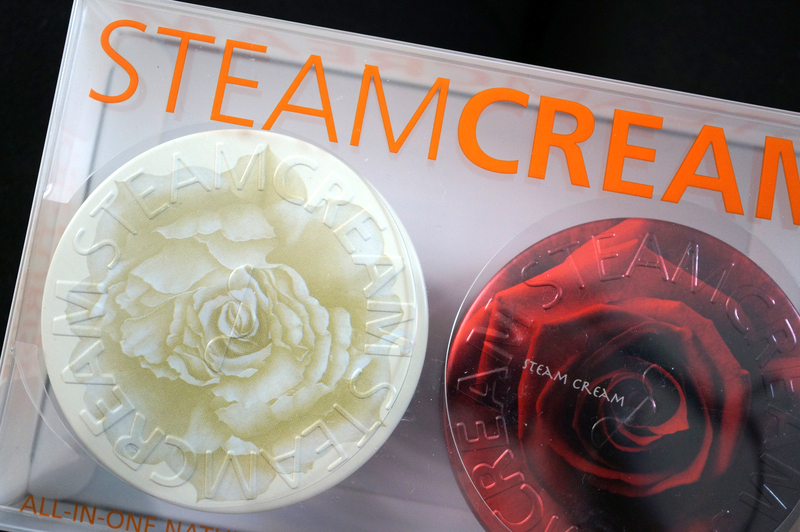 I love steam cream too! Just a brilliant idea and the light texture suits my skin. The natural lavender scent is great as it helps me doze off when I use it as a night cream. Just bought some steam cream after reading your post. Couldn’t get it at Baobella but found it on allbeauty.com at £9.95 each. I bought two and didnt have to pay postage. On my first try I have to say that I love it, I was surprised how little I needed to thoroughly moisturise my face and it was a very lovely scent. I was also surprised how big the tin was. I envisioned a much smaller tin even though I could see how much content there was before ordering. Just have to wait and see if my skin starts looking better with continued use.